In a worldwide look at BBQ, we found there are as many ways of doing it as there are chefs. Where I’m from in North Carolina, you haven’t had barbecue until you’ve had our barbecue. It’s a matter of regional pride, just as much a cultural and social phenomenon as a culinary tradition. People all over the world take the same pride in their barbecue. What is it about cooking over a smoldering pit that brings out the best in people? From Carolina pig-pickin’s to Kentucky mutton, the idea is the same everywhere- an outdoor party with friends, food, and beer. American barbecue has its origins in the 1800s, when poor farmers would capture semi-feral pigs when food was scarce. Though beef and chicken both hold sway, pork remains the staple of most barbecues. The meat is not generally marinated before being put on the grill, where it’s brushed with whatever kind of sauce is available or popular. More than anywhere else, American barbecue makes use of specific kinds of wood to impart flavor in the meat: in Texas, mesquite brush is common, but hickory and oak are more readily available elsewhere. Outside the South, culinary specifics often take a back seat to the social aspect. You’re more likely to find burgers, hot dogs, and vegetable skewers than pulled pork at a BBQ, but the soul of the barbecue is alive and well. Unlike its American cousin, Korean barbecue usually looks more like a meal at a restaurant than a summer block party. 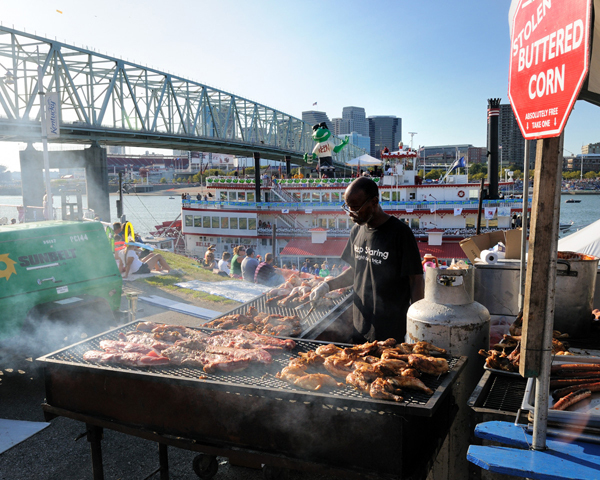 The meat comes raw as patrons sit at a special table, cooking their meal on a charcoal or gas grill in the middle. Cuts of beef, pork, and chicken are the norm, most marinated in a garlic-soy sauce mixture. 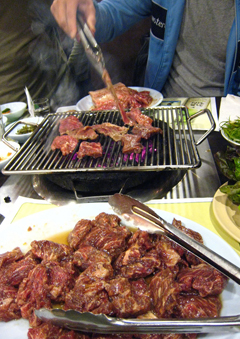 Barbecue has become synonymous with Korean cuisine outside its homeland. The unique blend of cooking and dining has made it popular the world over, and Korean food can be found in nearly every major city on Earth. South Africans call their barbecue braai, from the Afrikaans word for roasted meat (braaivleis). Developed by Dutch immigrants, the braai has become a pervasive tradition across racial lines in South Africa. Like most barbecues it’s very much a social event, and the role of braaier (head chef) is a coveted position. 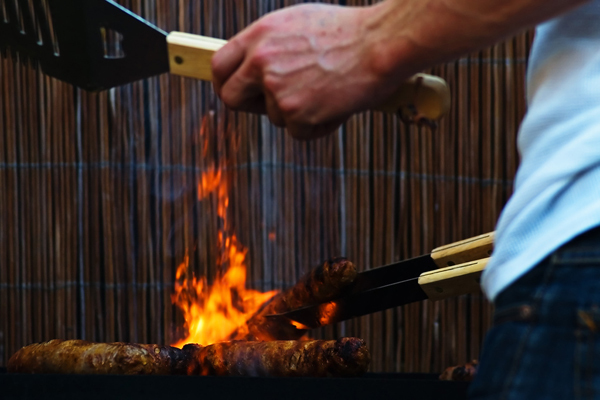 The range of meats used shows the braai’s many cultural influences- sausages, kebabs, and steak are all standard fare. A traditional Bantu porridge called pap, similar to grits or polenta, is a popular side dish. 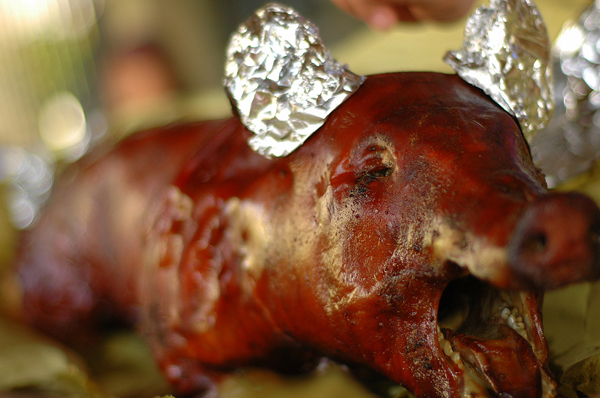 If you’ve ever been to a Filipino party, you probably remember the enormous roasted hog. Called lechón, no celebration is complete without a whole pig roasted over hot coals. The pig is brushed with its own fat, keeping the meat moist and the skin crunchy. Whole chickens and cattle are occasionally used as well. Lechón is so popular in the Philippines that it can usually be found year-round in street stalls and restaurants. Derived from a Spanish tradition, variations on lechón can be found throughout Latin America and the Caribbean as well, especially during the week of Christmas. Still, Australia is a country that loves its barbecue. It’s so popular that many public spaces actually have coin-operated grills, and with so many great beaches to have cook-outs on it’s no surprise the tradition has taken hold. Thanks to its huge cattle industry and long coastline, Australians rely mostly on burgers and seafood to satisfy their grilling desires. The “sausage sizzle,” however, is what makes Australian barbecue special. Ubiquitous at fundraisers and school events, sausages are grilled, put on white bread with onions and tomato sauce, and sold for a dollar or two. Mongolians have their own unique ways of cooking meat, but it’s not what you’d find at your local “Mongolian barbecue” restaurant– that’s a Taiwanese version of Japanese teppanyaki. Weirdly, the first American chain to open in Ulan Bator was just such a restaurant. Meat has historically played a big part in Mongol cuisine, as nomadic lifestyles and poor land lend themselves better to livestock than crops. Khorkhog is the iconic Mongolian dining experience, usually reserved for special occasions or honored guests. Stones are heated in a fire before being put in a pot with lamb or goat meat. The cooked morsels are eaten with diners’ hands, and it’s said to be good for one’s health to hold the stones used in cooking. Boodog is a more commonplace meal, where marmots are cooked whole over an open fire. In 1900, the quality and scale of its beef industry meant Argentines enjoyed a higher standard of living than Americans. Exports declined, but the Argentine love of beef hasn’t diminished. 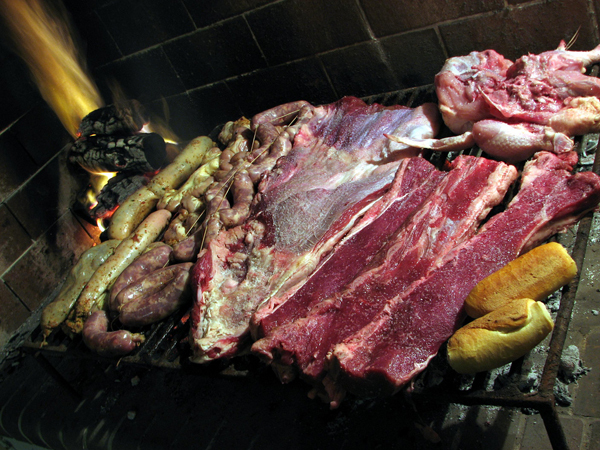 Popular in Uruguay, Chile, and Paraguay as well, the asado is Argentina’s answer to barbecue. Meats are usually unmarinated and served like courses. Sausages and organs come first, followed by ribs, steak, and possibly chicken or goat. Salads, bread, or grilled vegetables accompany the meal. Are you a barbecue fanatic? Check out Matador member Huntington’s blog post, Kansas City – Home of the Best BBQ in the World, and join in the debate: Where have you had your favorite BBQ?